On September 11th America witnessed the worst terrorist attack in our nation’s history when the World Trade Center was destroyed and 2,819 people were killed. 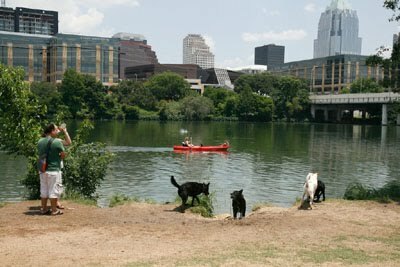 A call was sent out nationwide by the Federal Government for the most highly trained canine search teams to help at the disaster site. SDF responded, providing 13 teams—a third of the FEMA advanced-certified canine search teams deployed at Ground Zero. The deployment posed the most challenging search environment our teams had yet faced, but their high-level training proved to be invaluable under the difficult conditions.There were reports of non-SDF dogs being injured during the search at Ground Zero with burned or cut paws. Not one of the Foundation's FEMA Certified dogs was injured. Why? Because of the SDF dogs’ arduous, ongoing field training. Our dogs' paws could withstand the irregular, shifting surface of the rubble pile because they work weekly on rubble, all year round, which prepares their paws for rough conditions. Also, the dogs and handlers knew how to avoid dangerous spots, because they'd done it all in training. 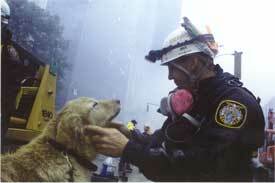 It is heartwarming to know that many of the SDF dogs that worked at the World Trade Center were themselves rescued. Professional training brought them to a high level of proficiency, so that they were prepared for this type of deployment. I am so amazed at how well those dogs were trained. That's the reason I want to bring my dog to the Perth dog trainer soon so that he'll be able to help rescue missions too.